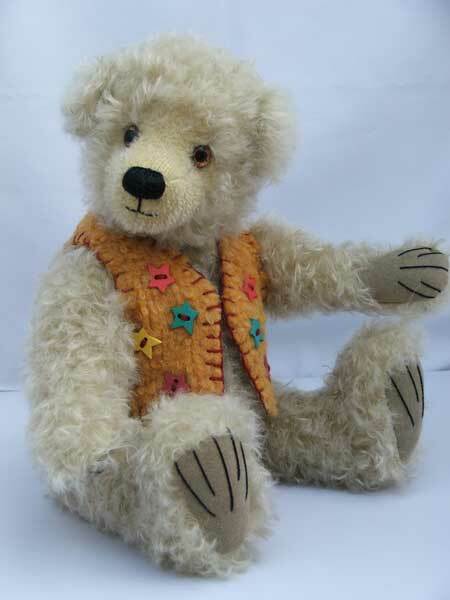 Dari Laut bears are adorable character hand made bears made by the multi award winning teddy bear artist Patricia Banks. I first saw these bears at a local teddy bear fair and they immediately stood out for me. 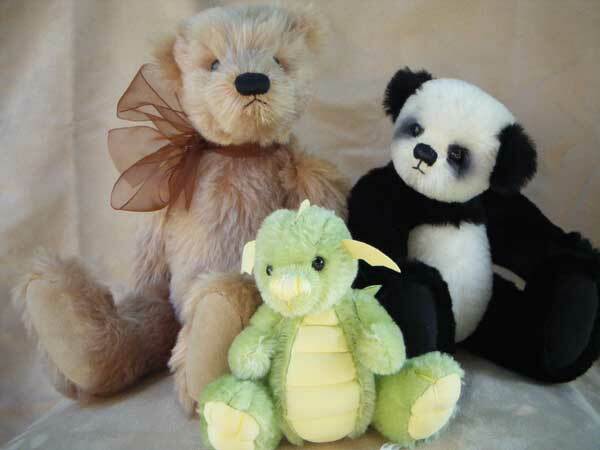 I knew then I would have to feature Patricia's bears on the site and find out more about her and her bears. I hope you will enjoy Patricia's bears as much as I do. I understand that you have won several awards for your bears over the years. Can you tell us about these awards and which bears won them for you? My first award was in 2002. This was Teddy Bear Scene’s E.V.A. award for the Dressed Bear Award, for my Chelsea Pensioner. I won the silver cup. This was because it was the last time for the E.V.A. Award. The following year it was changed to The Readers Choice Award, which I also won for the Dressed Bear section, with my Alice in Wonderland & White Rabbit. My next competition bear was 2007 when I entered Sqn. Ldr T Bear in the Readers Choice Award, again by Teddy Bear Scene. He was a bear in full R.A.F. uniform, celebrating 90 years of the R.A.F. he came second. My next competition was at the Teddy Bear festival in Beaulie where I entered Beryl the Feral who came first. This was in 2008, The following year at the Stratford on Avon fair I entered my little Autumn in their completion and came second. I have not done any competitions since. You call your bears Dari Laut bears, that's a very unusual name. Can you tell us about it and why you chose that name for your bears? The name Dari Laut is Malayan, and it means from the sea. I live in Hastings, on the South Coast, and my mother’s family were Hastings Fishermen and boat owners, therefore they made their living from the sea. I first came across this name when I was in Singapore with the R.A.F. 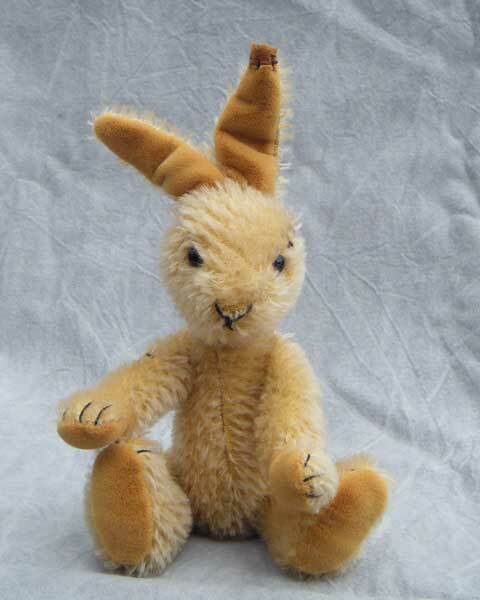 I find there are many reasons why people begin to make their own handmade bears, what is your story? How did you get started and what keeps you going? I used to collect Cherish Bears and Russ Bears until I went into a shop in Godshill, Isle of White, where I came across artist bears for the first time. My daughter asked me why I didn’t make my own bears as I was always sewing. The Lady of the shop encouraged me and I sent away for my first bear kit, and as the saying goes the rest is history. My love of sewing keeps me going, and inventing and designing patterns. Also I teach other people, to make bears, generally on a one to one. As a teddy bear artist coming up with your own bear designs, would you say that your bears had a particular style to them? Also how do you come up with ideas for your bears? I generally do traditional and character bears and animals, dressed and undressed. That doesn’t mean I do not do the odd quirky bear or animal. I was commissioned for a book to make a an orange Leopard and a Meerkat for a company to launch their children’s book in Bologna, that was in 2011, I still have the proto type for these. The book was called ‘What ever Lola Wants’ Lola being the leopard. I have dabbled in making my own bears and I end up sitting on the sofa surrounded by fluff with one eye on the TV when I make mine. I am always fascinated in finding out how other bear makers make their bears. Tell us about your bear making process? Do you have a set up area where you make them for instance? My spare bedroom is my sewing room, and all my stuff is in there. In the summer I will sew in the garden, which I love doing that and of course when I am teaching, that is in the sitting room. 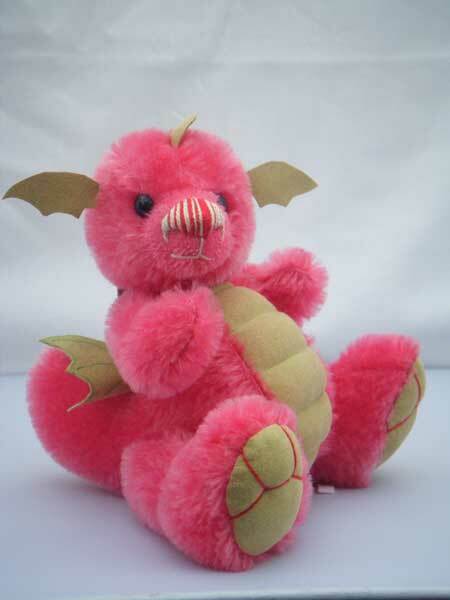 I believe that you also collect teddy bears; do you have a favourite bear in your collection? I do have a favourite bear, which I made and he comes on Holiday with me. His name is Benson. I also have a dog made by Jackie of J.C.W. Bears, this was made from photographs of my beloved Cavalier dog . Duke He is always beside my bed. If you could give only one tip to someone who is planning on making their first bear what would it be? Two tips really, find out all you can by books and word of mouth, and before you cut the materiel do not skimp on the preparation.